I left rainy southeastern Alaska during the middle of December for the sun soaked Great Basin. 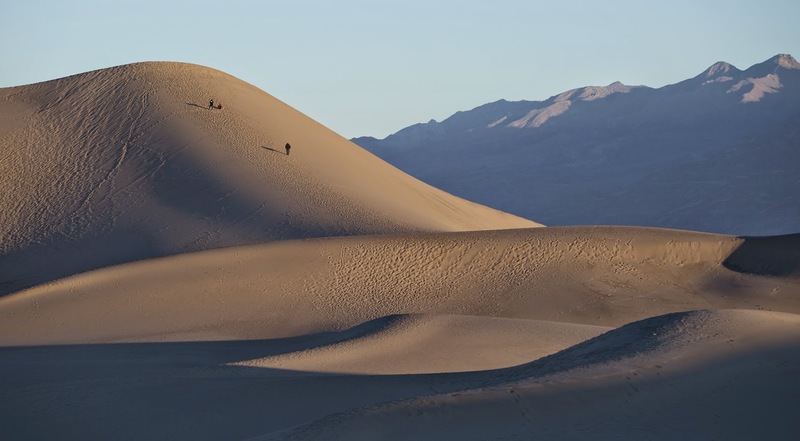 Denise Carl joined me in Vegas via Tacoma, WA, and we headed north across vast desert valleys surrounded by scorched mountain slopes, then made a brief jaunt west from Beatty, NV, up over a mountain pass, and descended into Death Valley. This valley is a land of big extremes. 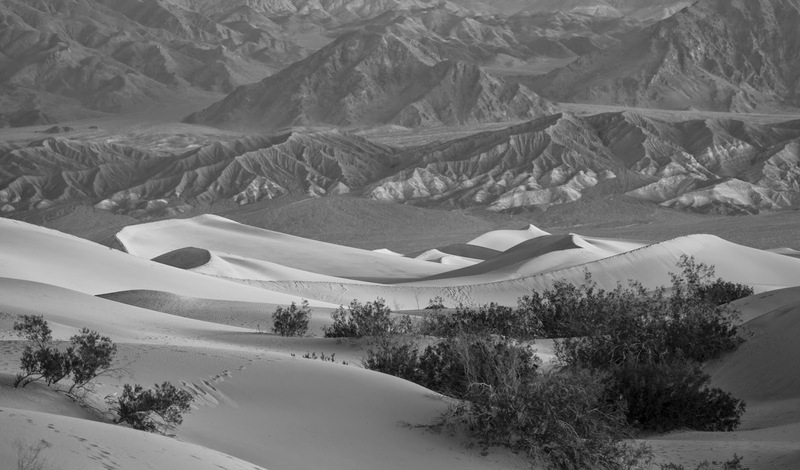 The elevation ranges from 282 feet below sea level at Badwater Basin, to 11,043 feet above sea level at the summit of Telescope Peak. 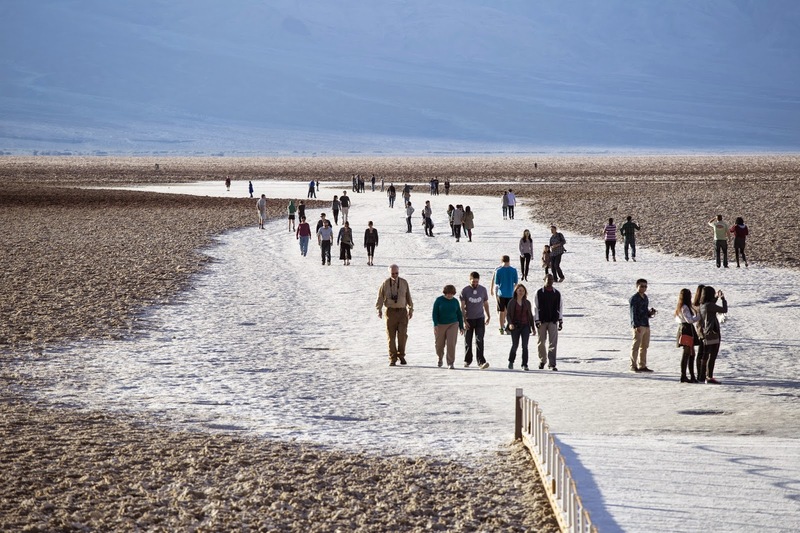 The highest air temperature in the world, 134 F, was recorded on July 10, 1913 at Furnace Creek. The average annual precipitation ranges from 1-3 inches, with an extremely wet year being 6 inches. Our trip in December was characterized by temperatures in the 30s and 40s during the morning, and mid 70s during the afternoon in the middle of the valley. In addition, rain and snow showers occurred as I drove west from Beatty during the night of Christmas Eve. 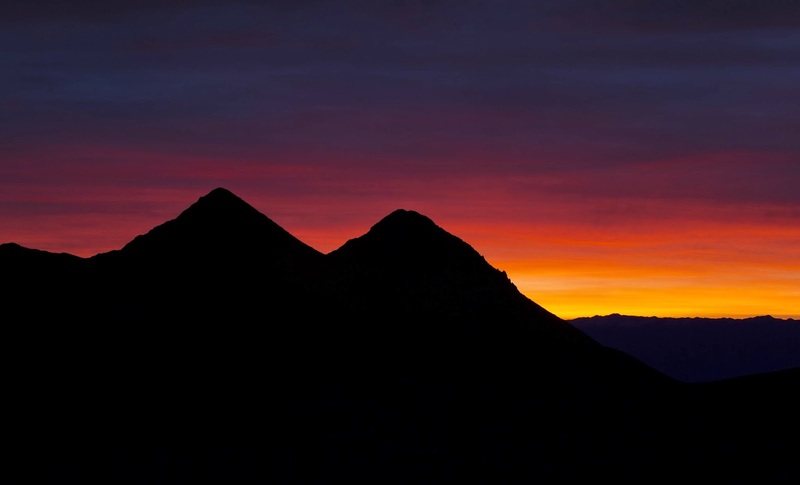 Mornings and evenings were dedicated to photography…the light was too good to pass up. During the afternoon, we explored the geologic wonders of the valley. A full day was dedicated to Sidewinder Canyon, which is embedded in an alluvial fan located ~15 miles south of Badwater Basin. I forgot the notes I took for this canyon, and we ended up hiking up each individual gully, searching for a popular slot canyon, which we eventually found late in the afternoon. For what it’s worth, this canyon is located in the far right wash (when viewed from the parking area). 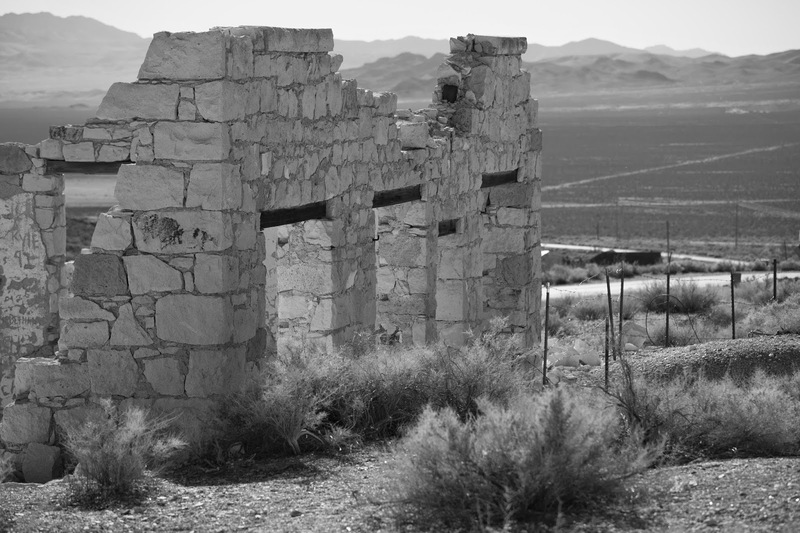 The next day, we drove out to Rhyolite, NV, which is a ghost town located a few miles west of Beatty. The site is full of crumbling buildings that pay testament to the brief gold rush that occurred in the area during the early 1900s. 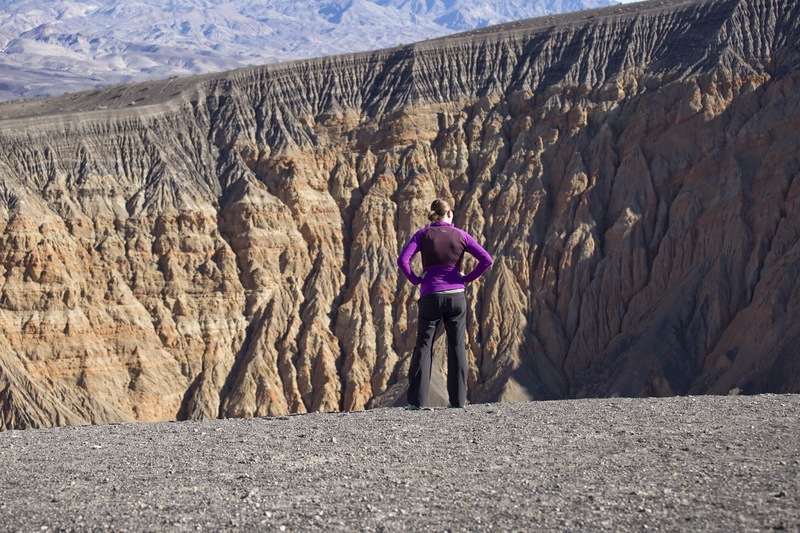 We then drove north through Death Valley and explored Uebehebe Crater, which formed as volcanically heated water and gas violently exploded several thousand years ago. We felt obliged to descend into the 500 foot deep crater, no sweat, but the climb back up was grueling…I can only imagine what it would be like during a hot summer day. 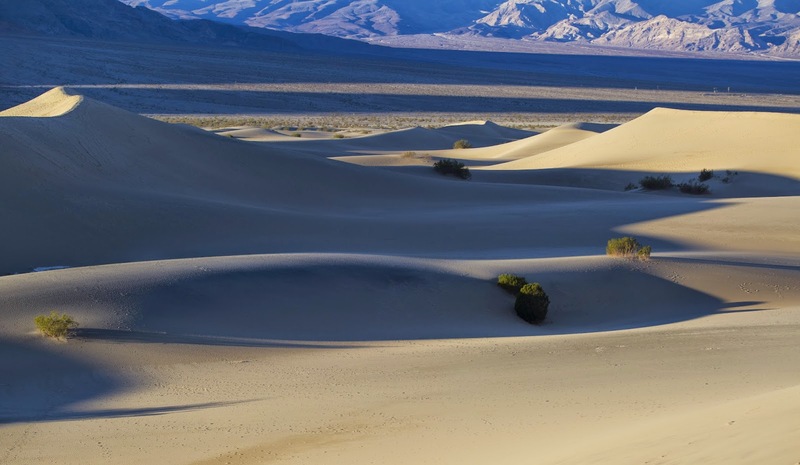 I booked a hotel room at Stovepipe Wells, which is located roughly in the middle of the National Park, very close to the Mesquite Flat Sand Dunes. The accommodations were simple, but we weren’t looking for luxury, just a base camp to explore the park. The Stovepipe Wells restaurant provided decent food and friendly service. Sunset during the descent into Death Valley. 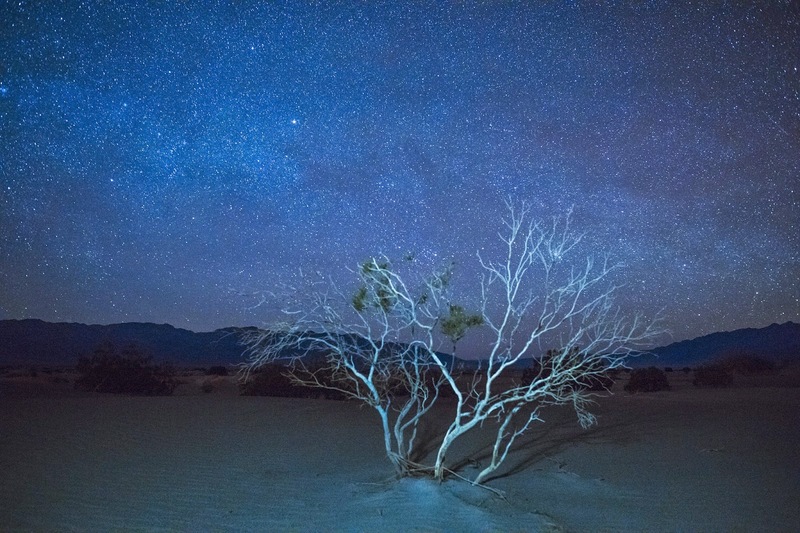 Starry sky above a weathered bush and Mesquite Flat Sand Dunes. 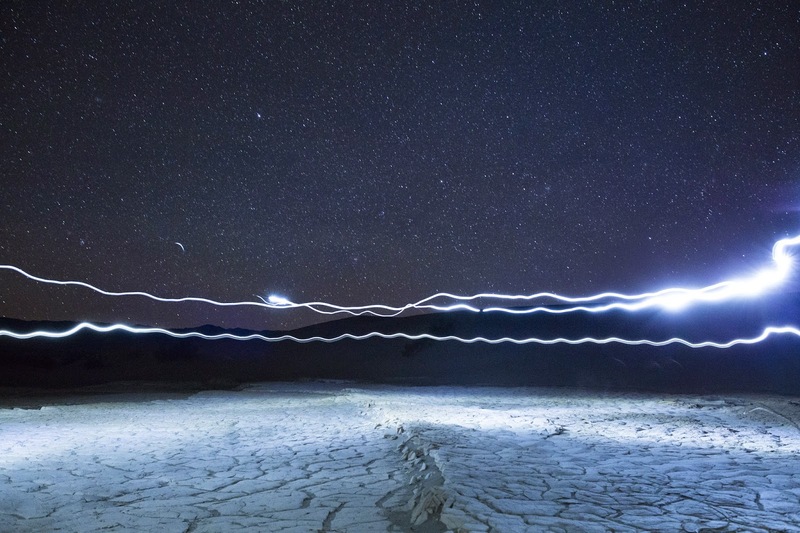 Light painting at Mesquite Flat Sand Dunes. 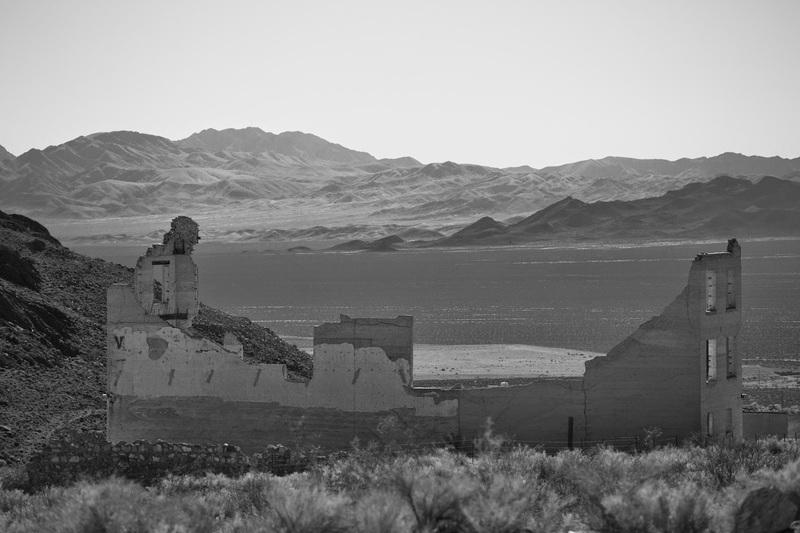 Rhyolite, NV, a gold mining ghost town. Badwater Basin, 282 feet below sea level. 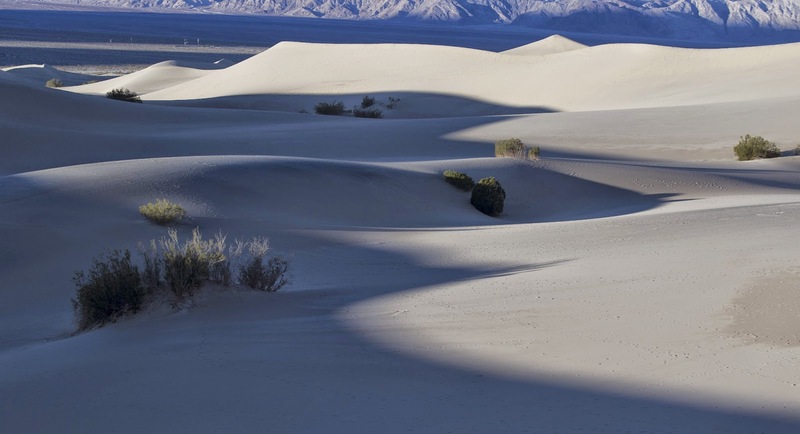 Evening shadows in Death Valley.